Summary from Goodreads: Murder is such a buzz kill . . .
It’s been four months since HP Pettersson was dragged into a ruthless Alternate Reality Game that nearly cost him his life. Although he now has everything he ever wished for—freedom, money, and no responsibilities—he isn’t satisfied. He’s plagued by insomnia and paranoia, and misses the adrenaline rush of the Game. He misses the attention. At times, he even hopes the Game Master will find him. And when HP catches the eye of a rich and powerful CEO for all the wrong reasons, he may get his wish. But he quickly learns that sometimes, you have to be careful what you wish for . 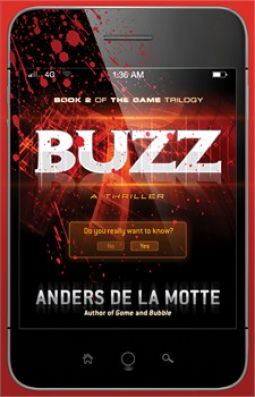 . .
Buzz was an interesting follow-up to Game, still full of action and intrigue. Unfortunately, it didn't quite measure up to the first book in my opinion. Those of you who read my blog regularly know that thrillers are not my typical genre, so this might be the main problem here. In the first book, I was very wrapped up in the mystery of Becca's past. Becca's storyline and the emotional impact of her past actually drove the book for me more than the actual premise of The Game itself. This book lacked that emotional connection for me and so I found myself not nearly as engaged. I was left with a basic thriller. Was it a good thriller? Yes, I think so. Was it a heart-stopping thriller? Not really - at least not for me. This book finds HP in Turkey four months after his escape from The Game. After being accused of a crime he didn't commit, he decides to try to find out who set him up and why. Has The Game found him? He doesn't know, but he needs to find out. Meanwhile, Becca is being harassed by an online stalker who is posting personal information about her and making her life generally miserable. She makes it her mission to discover who it is and stop them. As in the first book, Becca and HP's paths cross in some interesting ways! Not much of The Game. The Game actually felt like a very minor part of this book. I mean, there is the general idea that someone from The Game is actually masterminding most of what is happening to HP (and possibly even Becca), but it's kind of all in the periphery in this book. The Game is tied to everything that HP discovers about ArgosEye (the company that he ends up working for in order to uncover why he was framed for murder), but it's still always just in the background - HP never has direct contact with anyone from The Game (that he knows of). I just didn't feel a lot of urgency when it came to The Game itself in this book. Slow beginning. 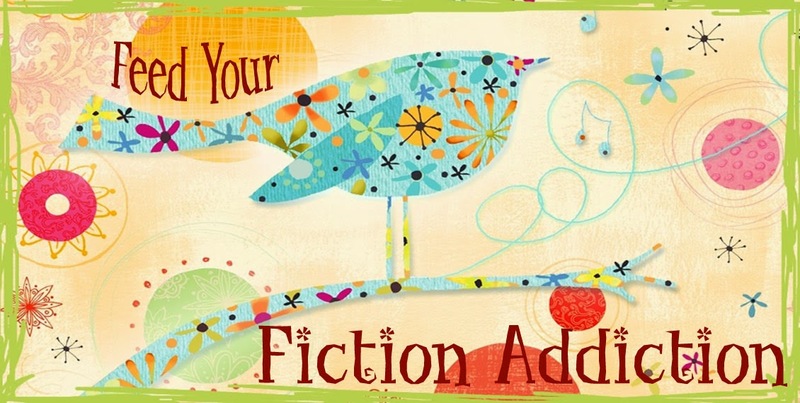 It took me until I was about 60% into the book for me to truly connect to the characters and care about what was happening with the book's central mysteries. I just didn't care all that much about HP's corporate espionage. And whereas Becca's storyline kept me engaged in the first book, in this book, she grated on my nerves a little bit. I just didn't like her and I had a hard time feeling sorry for her when her online nemesis revealed certain unsavory details about her life. In the first book we saw Becca dealing with a painful past, which was riveting, but in this book she seemed mostly motivated by boredom and negativity. It wasn't until Becca and HP's lives intersected that I started to really get interested in what was going on and in the mystery of how their stories were related. This didn't happen until about 60% of the way into the book. ArgosEye. I loved the idea of ArgosEye - a company that was hired to create and manage internet buzz for their clients. The whole concept of trolling was fascinating and I loved that HP actually really enjoyed his job - and he was good at it! HP was at his best at ArgosEye (even if he was still a bit morally unscrupulous at times). The mystery of Becca and HP's interwoven stories. I thought that de la Motte once again did a great job of creating mystery around how and why Becca and HP's stories were interconnected. There were some great moments when I thought I understood the connection and then there was a twist that turned it all around. I also think that Becca and HP are both at their best when they're together - their family bonds transcend all of their other character flaws and turn them both into decent people (at least for a while)! Great set-up for book #3. I appreciated that the storylines in Buzz were (mostly) wrapped up, but we were still given a little bit of a cliff-hanger to lead us into book #3. Not a major cliff-hanger - but just enough to give us a little taste of why we want to stick around for the next book! Buzz wasn't quite as exciting as Game in my opinion, but I'm still intrigued and want to find out what happens to HP and Becca. I'll definitely check out Bubble to find out. Overall, I give Buzz 3/5 stars.